"...and as always, the remote signal from Senza was rock steady. It never went down for almost 20 hours and was broadcast quality HD audio and video." For Transmitting High Quality Video Signals Across The Internet. Getting your HD video signal from Point A to Point B is now easier than ever. Let SenzaCaster® replace your current satellite link. By managing latency and including an integrated IFB, SenzaCaster® is your perfect solution to bringing remote guests into your program. 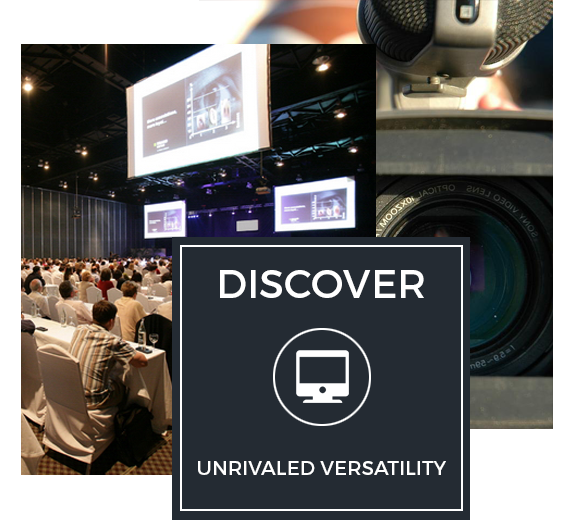 With our one-to-many distribution solutions, your live program can be viewed from an unlimited number of locations via our Roku-powered SenzaCaster Business Network, our Professional Software Viewer as well as traditional web streaming methods. 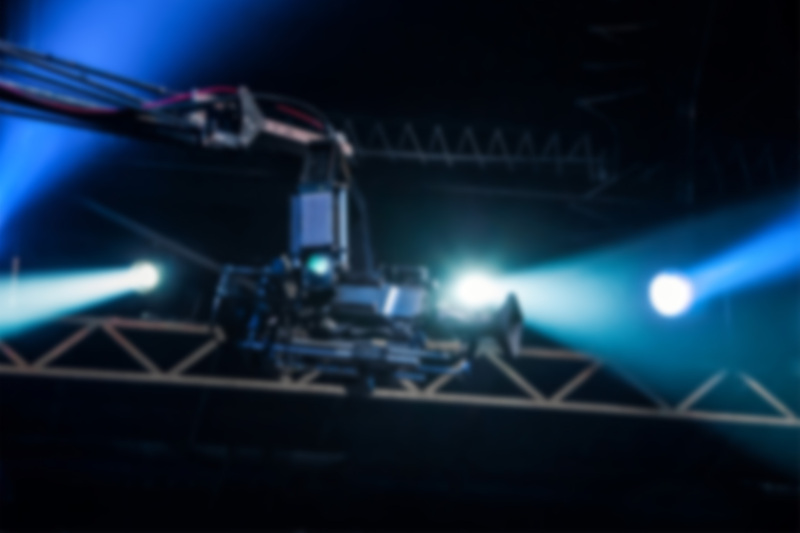 Setting The New Standard For Video over IP Transmission. SenzaCaster® is the first true plug-and-play solution for transmitting high quality video signals across the internet. Open the box, connect the power cable, your HD-SDI with embedded audio, and simply plug into any RJ-45 internet connection. That's it! With our revolutionary DASHBOARD, the entire line of SenzaCaster® products can be remotely managed from anywhere in the world. You no longer need to travel an engineer. The versatility of SenzaCaster® is unrivaled by other transmission methods. 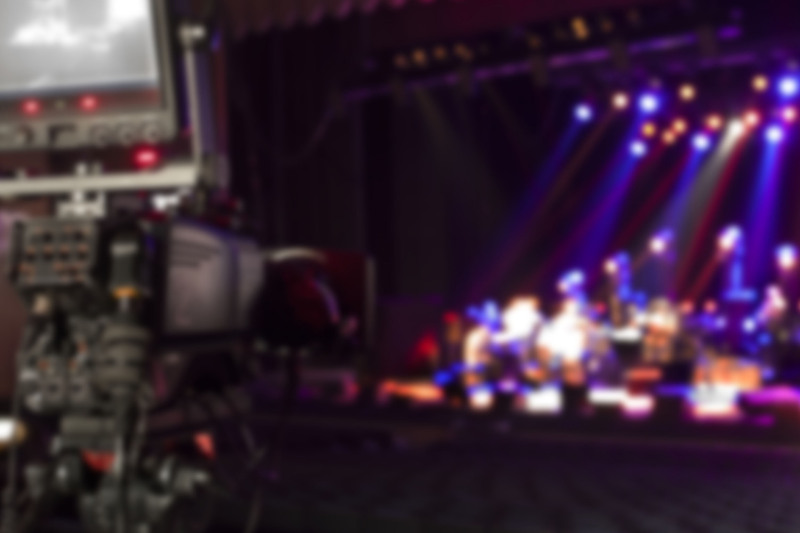 The ease of a webcast with the quality of broadcast television...YOUR imagination is the the only limit. SenzaCaster® works over standard Public IP Networks. 7-10mbps for HD & 3mbps for SD . RJ-45 & 110-240v of power are required. Never Again Will You Need To Have Specially Installed VLAN Or Dedicated IP Data Lines. No More Static IP Addresses - No Knobs, Buttons Or Dials To Worry About. Want to experience a free live demo of the SenzaCaster®? Fill out the form below - We'll contact you shortly with more information to see if SenzaCaster® is right for you. 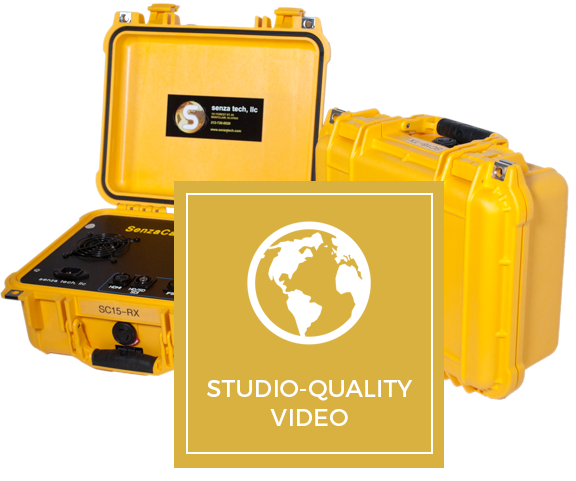 SenzaCaster® Delivers Studio-Quality Video Over Un-Managed IP Networks. What is SenzaCaster®? How it works and why it's great. 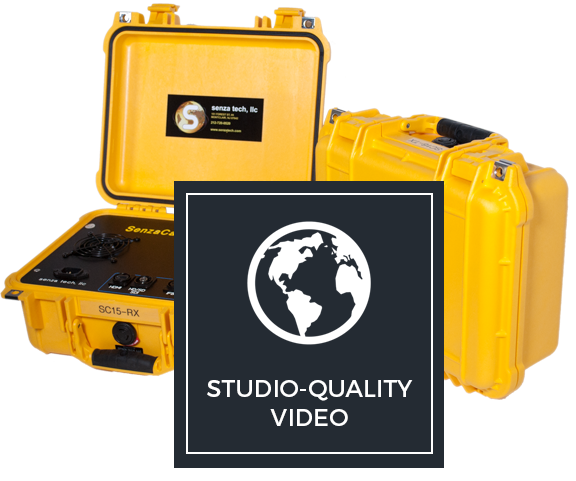 We wanted to find a cost effective, plug & play solution for transmitting high quality video from point-to-point. SenzaCaster® is the first true plug-and-play solution for transmitting high quality video signals across the internet. To determine whether your existing internet connection is ready for SenzaCaster® Technology, simply click the link on the right to download our Network Health App. "...and as always, the remote signal from Senza was rock steady. It never went down for almost 20 hours and was broadcast quality HD audio and video. " "The SenzaCaster was a great success! Thanks so much for providing a fantastic product!" “The SenzaCaster® made our project simple and uncomplicated. We plugged it into the house internet, fed our video signal in and we were instantly streaming. This was everything we were promised…Plug & Play"
"The broadcast went very well. Your technology is fantastic. Thank you very much." Stefan W. Kreuzer, M.D., MSc. "The SenzaCaster® is by far the simplest HD point to point solution I have come across... you plug it in and it works flawlessly. 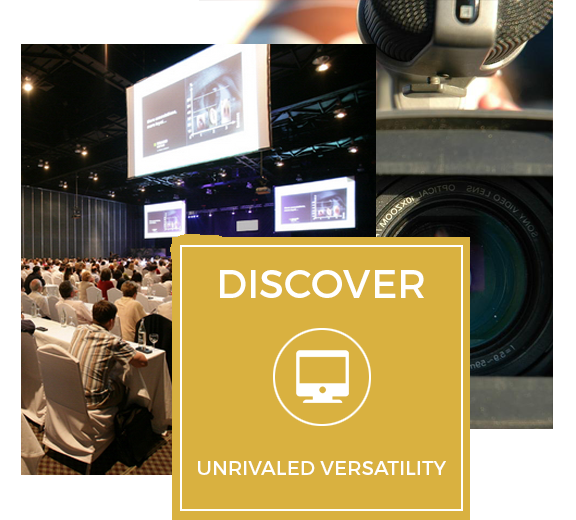 The SenzaCaster® is a worry free device and that's exactly what we need in our live events." 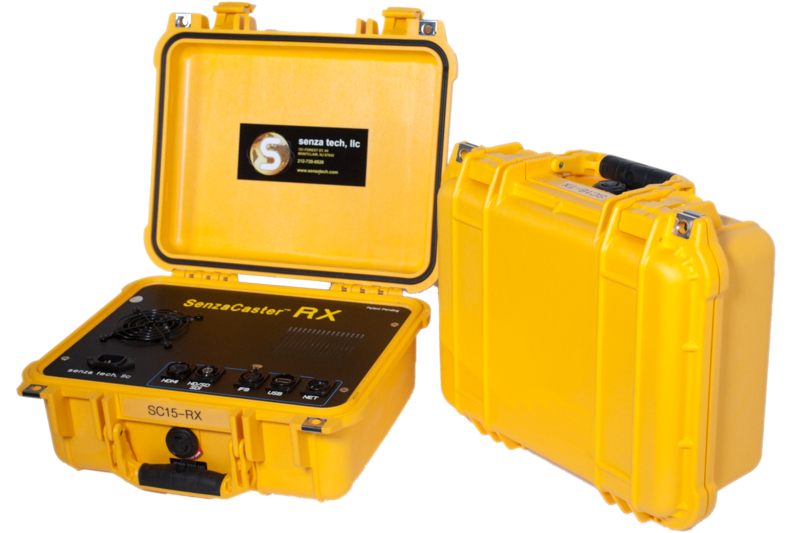 "We used Senzacaster® for a point-to-point link from Krakow, Poland to Los Angeles. It worked flawlessly for the entire event, in fact its performance and quality was higher than a simultaneous satellite pathway! Working with the Senzacaster® team was also a very smooth experience and their product is very user friendly." "We have been producing music and corporate television for many years, and have always been focused on reducing the scale and the footprint for production. We have been using the Senzacaster® since its earliest version to replace satellite and fiber for remote and multi-point live broadcasts, and it constantly improves. Wherever bandwidth allows, we use it for primary transmission globally, and have never been disappointed."